I’ve discovered the golden unicorn of fake Christmas trees! This is the most realistic Christmas tree I’ve ever seen. After a lot of fluffing and finessing, I stepped back to admire the tree and could not believe how real it looks! I got the unlit tree but you can also get it pre lit with LED lights or even tiny little fairy lights! I was so deliriously happy that I didn’t even have time to clip off the little tags before I took pics. Imagine how amazing this is going to look once I add lights! 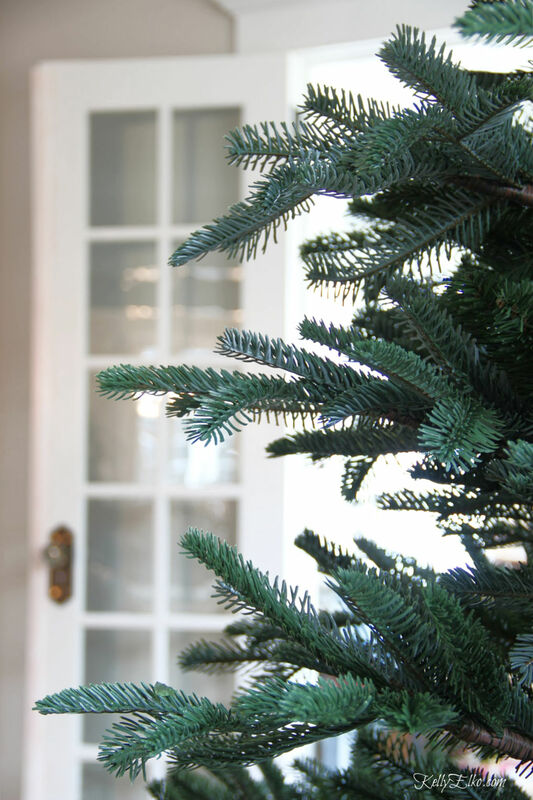 I’ve partnered with Balsam Hill in the past and love their high quality trees so I was super excited to team up with them again and this European Fir tree did not disappoint! If you need a smaller tree, I love these (how fun is the Charlie Brown Christmas tree! Now I need to trim my tree. I’m excited to share my Christmas home tour the Monday after Thanksgiving so stay tuned! In the meantime, I’ve got 7 years worth of Christmas decorating tours and ideas that you can check out here. I’ve been eying these gorgeous trees, too. Just wish they were more affordable. Do you know if they’ll be having a Black Friday sale? wow,,,,,can’t wait to see it decorated!!!! Thanks Carol – I can’t wait to show it to you! It is a beautiful tree, can’t wait to see it decorated. I put sooooo many lights on it Marlene! your tree’s always look amazing! can’t wait to see what you do this year. 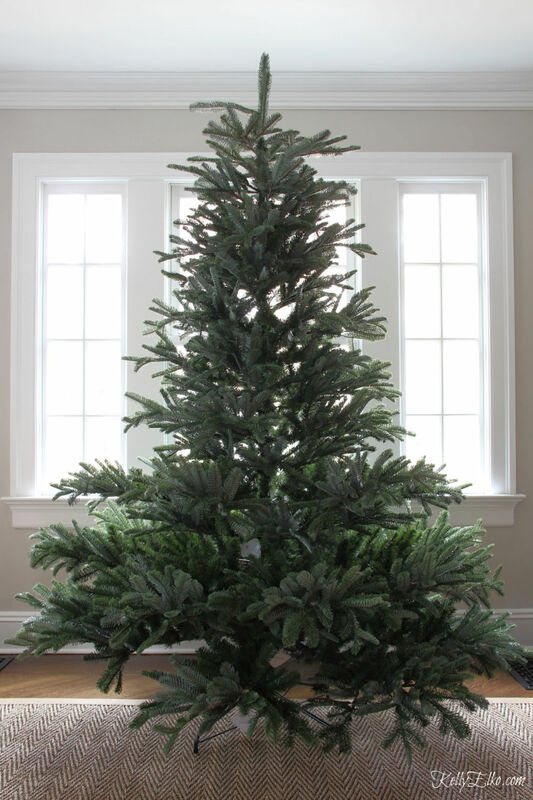 I purchased two of these European Fir trees this year, plus a Noble Fir from Balsam Hill! I love the quality of their trees! I’m looking forward to see yours all trimmed for Christmas! Tree twinning! Can’t wait to see yours too!